Best described as perfectly rustic, Mountain View features artisan hand scraping and staining. Available in variable widths (3.25", 5", 6.5") and a 5-inch, this hickory plank floor features handsome character and dramatic graining. Improves resistance to everyday household scratches that can make floors look old before their time. A FloorScore certification verifies that flooring and adhesive products have been tested and approved by the Resilient Floor Covering Institute (RFCI) in conjunction with Scientific Certification Systems (SCS) for contributing to good indoor air quality. 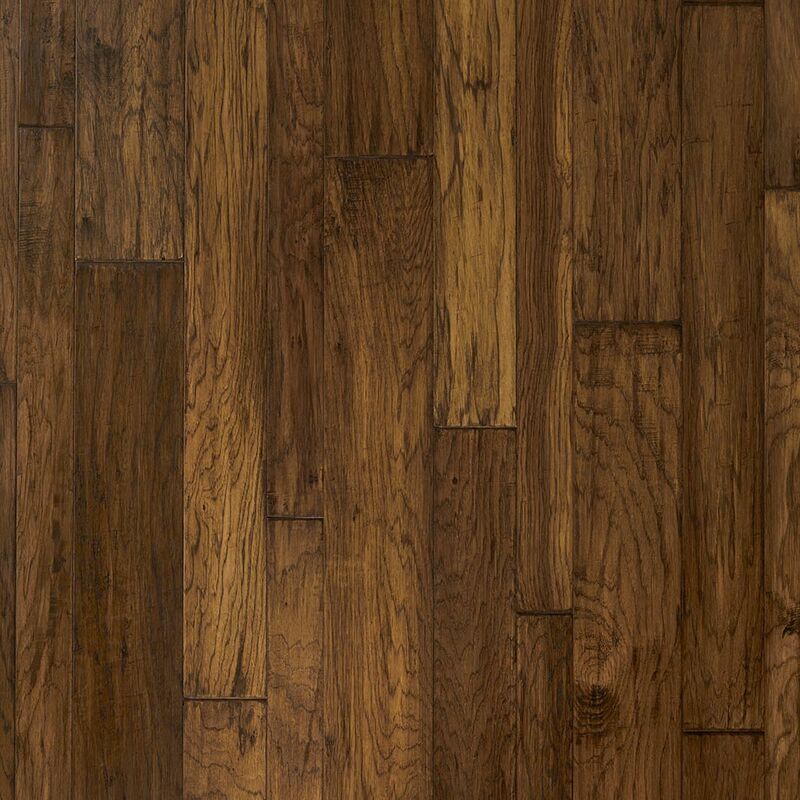 Hardwood – Color varies with each plank creating a natural mosaic. Low: Color varies slightly from plank to plank. Medium: Color varies moderately from plank to plank. High: Color varies significantly from plank to plank while retaining some similarity. A square edge means boards fit flush against each other for a smooth, traditional look. A micro bevel or full bevel edge creates an angled effect where boards meet, to create more depth and dimension. Kissed edge is the same benefit of the micro-bevel, but with the look of a square edge. Rectified edge mimics the look of real cut stone. 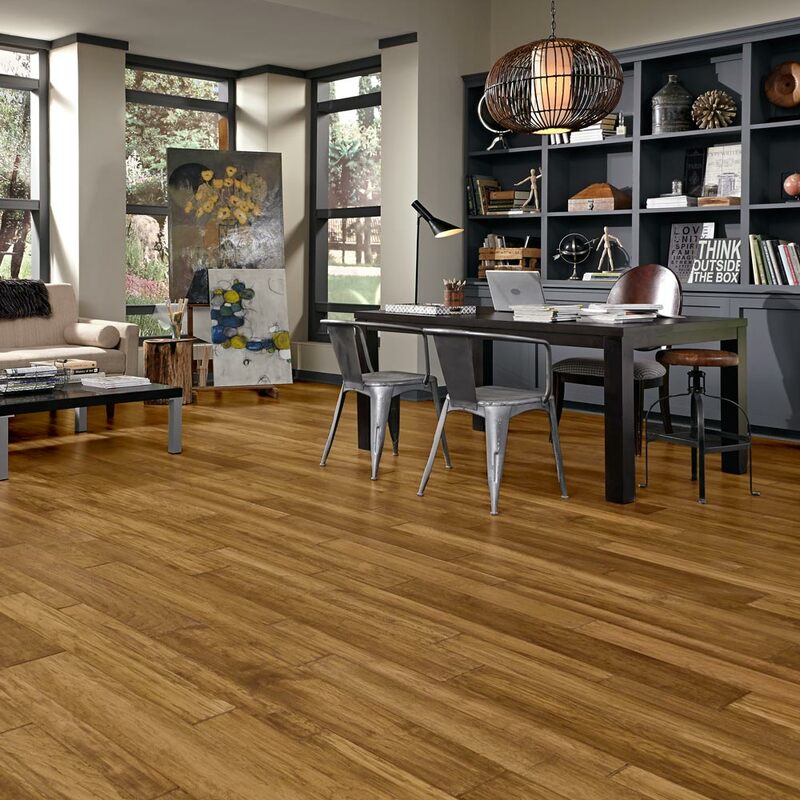 Variable edge recreates the rustic, hand-planned edges found in hardwood. Contoured edge has rounded edges for a soft and attractive visual. Tumbled edge features the natural, irregular edge flund in many types of stone. © 2019 Mannington Mills, Inc. All Rights Reserved.